Absentee ballots are usually designed to protect the secrecy of the ballot box by using inner and outer envelopes which are supposed to be sealed before mailing. So if you really wanted to tear up ballots for a particular candidate, you’d need to open both envelopes first. But ballots arriving in envelopes that appear to have been tampered with aren’t counted, so you’d end up invalidating all of the ballots, not just the ones you tore up. The Postal Service has completed an initial investigation of the mentioned tweets and does not believe these tweets were made by a postal employee. 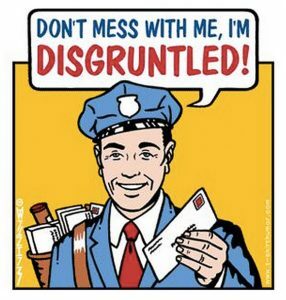 However, the Postal Service will continue to monitor this situation and if it is determined that the individual making the tweets is a postal employee and there is substantiated evidence of mail being tampered with or destroyed , then the Postal Service will take appropriate corrective action to address the situation. For more, check out Wonkette’s take on the story.